Which Car Rental Company Offers the Cheapest Rates? Looking for a rental car company that consistently offers the best rates? While price depends on several factors—most importantly supply and demand—it's true that some companies focus more than others on wallet-friendly pricing. Yet it's equally true that no company always delivers the lowest price. The worst decision for your pocketbook is to be fiercely brand-loyal—whether that means renting exclusively from a single premium brand to rack up loyalty points or sticking with one low-end company because you've heard it's always the cheapest. Shopping around is easier when you know the lay of the land. There are dozens of rental car brands if you count independent and regional companies. In general, the major national rental car chains fall into three categories: premium, value, and discount. At the top tier, the premium companies—Avis, Hertz and National—focus on business travelers. 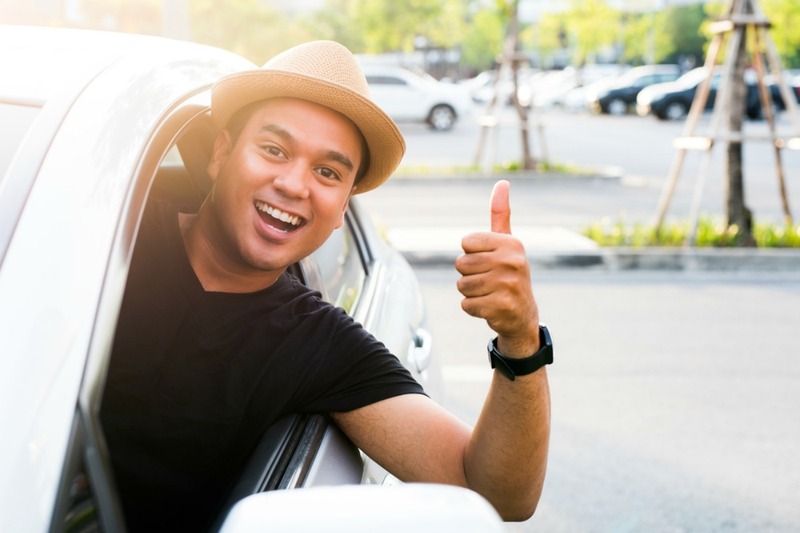 They tend to stock newer cars, employ more staff (which means shorter lines for you), and offer express rental programs so you can pick out your own car and drive it off the lot without ever waiting at the counter. Of course, these premium perks often come at a premium price. But it's a mistake to assume that premium brands are always the most expensive. Premium brands often throw in some extras that other brands charge for. For example, spouses can drive free at Avis (and at Hertz and National, if you sign up for their free loyalty programs). In addition, the higher-end brands often tend to be more aggressive with coupons and discounts. It's actually not uncommon to see Hertz beat Enterprise or even Payless when testing different coupon combinations. Also, while it's not a hard rule, the higher-tier companies tend to be more forgiving than the budget brands of circumstances that might incur extra charges. For example, they may let you skate if you return a few minutes past the grace period or have a small nick in the paint. There's also a trade-off of time vs. money that is very real. National or Hertz might have you driving off the parking lot in less than five minutes, while a budget chain may leave you waiting for your keys for half an hour. The value brands—think Alamo, Budget, Dollar, Enterprise, and Thrifty—aim for the mainstream traveler with lower prices but more limited services. Their cars might have a few more miles on them and there may be longer lines at the rental counter. Two special cases, Sixt and SilverCar, deserve mention. Overseas, German-owned Sixt is generally considered a premium brand, but in the US, it tends to be hard to categorize. One one hand, Sixt tends to price aggressively and offer offices off-site. Reviews of its service tend to be mixed, though they offer an affordable collection of German makes. SilverCar runs on an app-driven model and receives a lot of accolades for its fleet of Audis, but prices are fixed and relatively high, and the pick-up process usually involves going off-site. Lastly, there are the discount brands such as Advantage, E-Z, Fox and Payless. This category also includes some of the smaller regional operations, such as Ace, Easirent, Economy, and others. These discount brands usually offer the cheapest rates, but not always. Rates at these companies are low for a reason: the cars have often seen better days, the rental offices are frequently inconveniently located off-site from the airport, too few staff members mean waits at the counter can be long, and you can expect the uber hard sell for insurance. What's more, discount brands often nail you with hefty add-on charges such as additional driver fees. The chance of accidentally agreeing to buy an extra product, like prepaid gas, supplemental insurance, or vehicle upgrades, is much higher at the discount brands.This could more than double your daily rate. While most rental companies put commissioned salespeople behind the rental counter, discount brands tend push these products much harder. Buyer beware. Why aren't the rates at discount rental car companies always the cheapest? At least in part, it's because nine of the largest brands belong to three major rental car conglomerates. Why is this significant? Because brands in the same family often impact each other's rates. Let's say that Dollar's sister company, Thrifty, or its parent company, Hertz, gets tight on cars. That decrease in supply might cause Dollar's rates to jump up higher than those of premium brands like Avis and Budget. The bottom line: It's impossible to name any rental car company that is always the cheapest. While the discount brands tend to offer cheaper rates most of the time, there are plenty of occasions where that isn't the case. Want the cheapest price on your next rental car? The best approach is to check rates across all companies and search for the best coupons. The bad news is that takes a lot of time. The good news? AutoSlash will do it for you. When you ask us for a quote, we'll scan thousands of discount codes across all of the major brands and show you the best price at each company. To help you decide which to book, you'll see a helpful rating for each company based on thousands of feedback reports. AutoSlash also offers tons of helpful information on additional driver fees, underage driver surcharges, and other add-ons that might impact the price of your rental. Our aim is always to snag you the very best price possible.